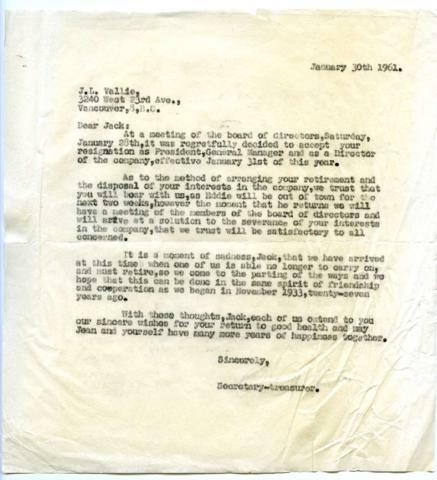 Letter assumed to be sent from Harry Seidelman to J.L. Vallie, accepting J.L. Vallie's resignation as President, General Manager and Director of United Milling and Grain Company Limited. It is dated January 30, 1961.